"Mark brings many years of experience, expertise and energy to our program as a coach and a formal professional player. 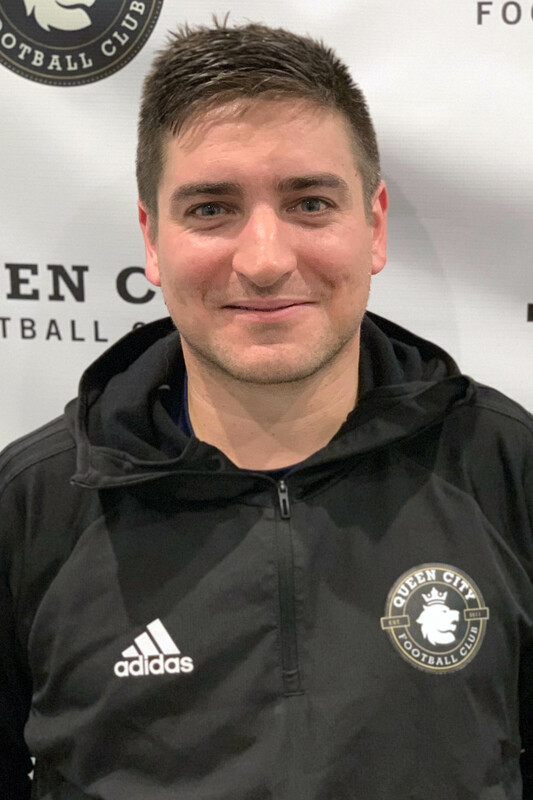 We are extremely excited to have someone of his stature in the Vermont community join our leadership team as well as work with our fine players," said Shane Bufano, Queen City FC President. Mark is a local product from Shelburne, Vermont, and brings extensive soccer experience to the program as both player and coach. Mark has a diverse background in soccer where he is currently an assistant coach entering his 5th season with the women's soccer program at Middlebury College. In 2018, the Panthers fell in Penalty Kicks in the NCAA Division III National Championship game and reached a national ranking of #2 in the country during the season. In 2017, the Panthers also reached the NCAA tournament and finished with a final ranking of #18 in the country. In addition, he has spent the past decade working at Nordic Soccer Club with various premier teams. His love of coaching stemmed from a successful playing career where he was a standout at perennial powerhouse Champlain Valley Union High School. After high school, Mark played club soccer at the University of Vermont and then continued on to play professionally in Poland for Stal Rzeszow ZKS and also in Northern Ireland for Coleraine FC. Sienko holds an NSCAA Premier Diploma, as well as an Advanced National Diploma, and the USSF “D” License.